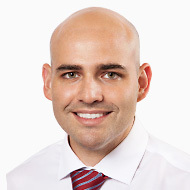 Winnipeg prosthodontist Dr. Jose Viquez earned his DDS degree from Universidad Latina de Costa Rica in 2010. After joining his father in private practice for a brief period, Dr. Viquez decided to pursue his advanced training in Prosthodontics. In 2014 he received a Certificate in Advanced Prosthodontics after completing a three year residency program at Louisiana State University School of Dentistry, where he had the opportunity to work with multiple implant systems. In 2015 he completed the Surgical Dental Implant and Esthetic Dentistry Fellowship Program in the Department of Prosthodontics at Louisiana State University School of Dentistry. Dr. Viquez is a Fellow of the International Congress of Oral Implantologists and a Fellow of the Royal College of Dentist of Canada.